It’s not often that you hear people associate the words “joy” with “study” in academic circles in Haiti. Often the work of university study is seen as something you get through – an obligation that people resign themselves to in order to begin a career. Yet at STEP, “joy” is the word students use – despite the heavy academic requirements. What makes it different here? STEP professors are not content to just pass on knowledge to their students. Inside the classroom, they adjust the content of their courses to the spiritual and personal growth needs of the students. Then outside the classroom, the students become their disciples as they accompany them in ministry – both at home with their families and in the churches where they serve. Related to this is the recurring theme that echoes throughout the STEP community: “Transformed to Transform”. Students are transformed by the word of God and by the models that are placed before them, not just for their own benefit, but so they can become agents of transformation in their own communities. It’s this vision that makes STEP more than just a regular academic institution, and homework assignments more than just something to get through. Instead, each class, each assignment and each conversation with a professor plays a role in the transformation that the Holy Spirit is working in the lives of our students, allowing them to carry the effects of that transformation with them as they serve as leaders in their own communities. Is God leading you to be a part of this? 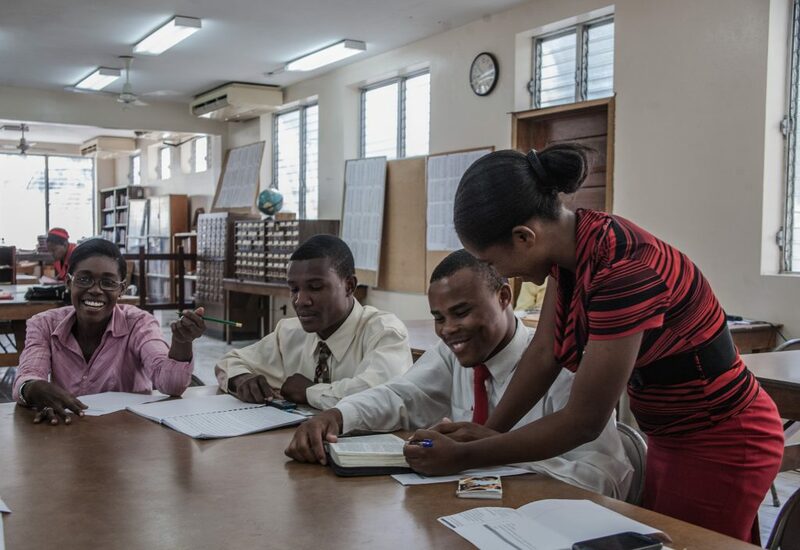 Join us as a partner, or as a student and be a part of the work of transformation that is beginning on our campus and spreading across all of Haiti.